Vikings Are Victorious vs. Cold Spring Harbor, 35-21! 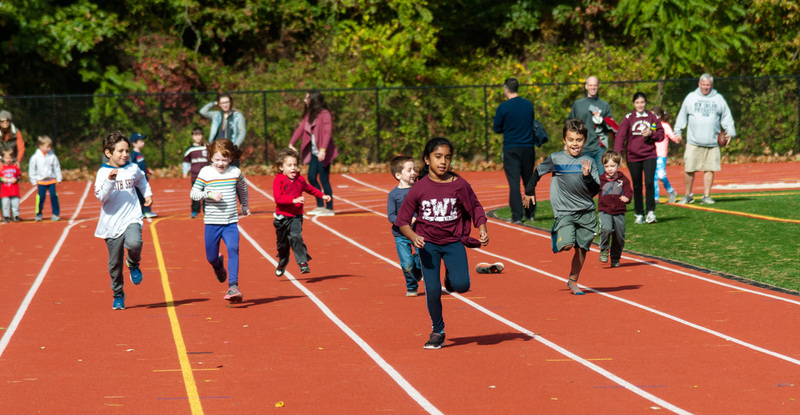 North Shore Schools, Glen Head, NY, November 2, 2016 - It was a gorgeous autumn day for the North Shore Schools 2016 Homecoming Celebration on Saturday, October 29th. From toddlers to senior residents, the Homecoming Celebration offered something fun for everyone! Thank you to the entire North Shore community for making this day a huge success! In addition, congratulations to the NS Vikings Football team for triumphing over Cold Spring Harbor, 35-21! To kick-off the day, numerous students, faculty, parents, and community members, enthusiastically lined up at Glenwood Landing School wearing maroon and white. Leading the parade was the American Legion Glenwood Landing Post 336 followed by the North Shore Cheerleading team, NSHS drum line directed by Mr. David Soto, HS Robotics Club, Board of Education including Superintendent Dr. Edward Melnick, Assistant Superintendent for Instruction Rob Chlebicki, and Assistant Superintendent for Business Olivia Buatsi, the Booster Club, Viking Foundation, Kiwanis Club, High School PTO along with Principal Albert Cousins, Girl Scouts Troop 141, and the Glenwood Landing/Sea Cliff Fire Department, just to name a few! 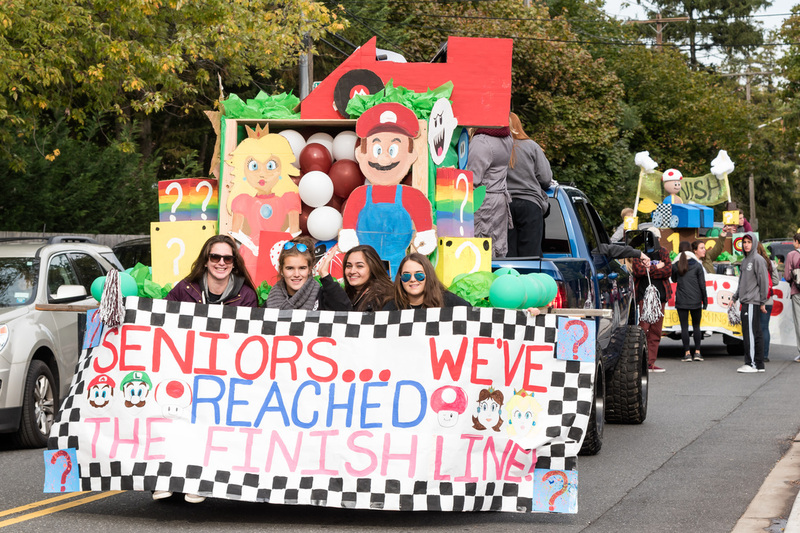 North Shore High School students showed their school spirit by designing decorative floats and banners, wearing face paint, and waving flags and balloons. Elementary children and teachers from Glenwood Landing, Glen Head, and Sea Cliff enthusiastically held banners and walked with their respective principals including Mrs. Bridget Finder, Mrs. Lori Nimmo and Dr. Chris Zublionis. North Shore Middle School was represented along with Principal Dr. Ferris and Assistant Principal Rachel Green. High School Assistant Principals Dr. Kevin Kurrus and Ms. Jen Imperial accompanied many of their high school students with their floats and banners in the parade. Also, many school clubs and sports teams/travel sports teams proudly walked in the parade. 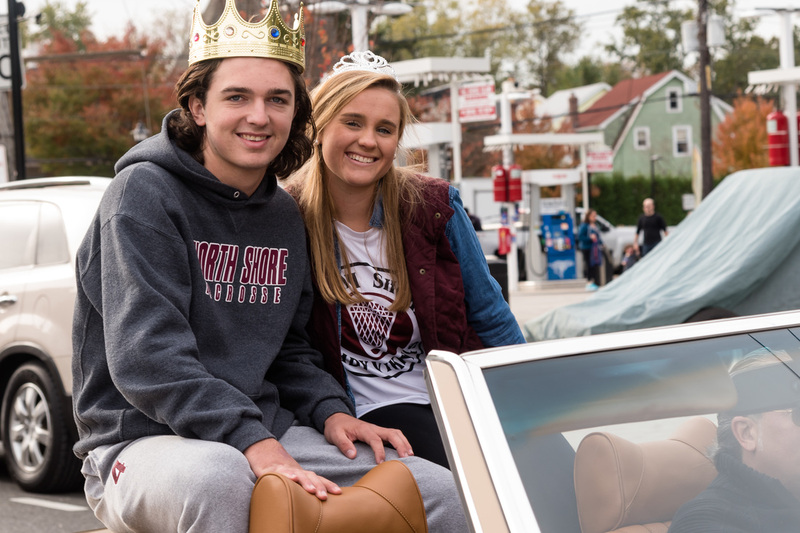 In addition, the NS High School Homecoming King & Queen, Ryan Aughavin and Quinn Lacy, proudly waved to the crowd! To their delight, enthusiastic community residents happily lined the streets, applauded and cheered, for the North Shore Homecoming festivities! Additionally, sirens could be heard all over the North Shore as the Sea Cliff/Glen Head Fire Departments happily sounded their horns for the North Shore Homecoming day! 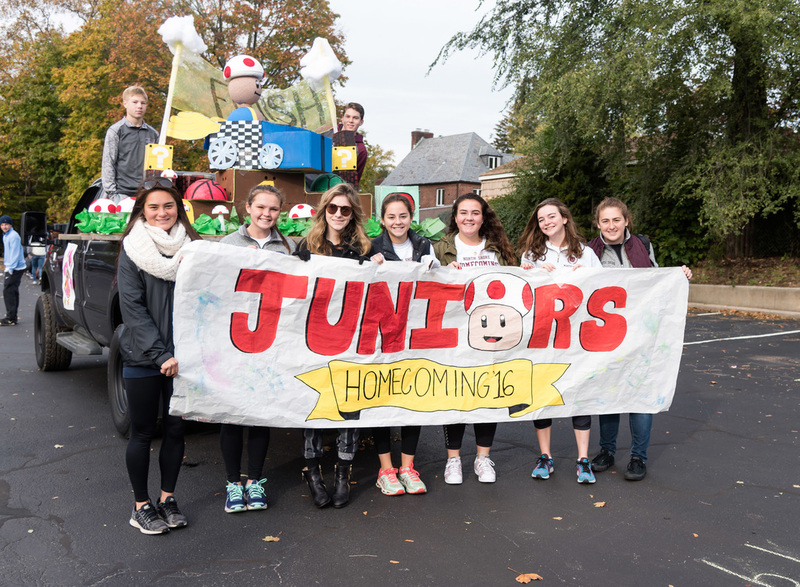 The parade culminated at the high school where K-12 students participated in a wonderful Homecoming Carnival with fun games for all ages. It included inflatables, face painting, a train ride for young children, a photo booth, obstacle course, DJ, and much more! For hours, children of all ages happily engaged in all of the fun games. Live music was organized by the Arts Angels and included many North Shore talented musicians. You could see the joy on everyone’s faces as their parents joined in the fun, and administrators with the homecoming committee even helped serve hotdogs and hamburgers to the crowd! But, that wasn’t all! The Athletic Booster Club grilled delicious food for everyone to enjoy at the concession stand, and the Parent Organizations along with high school classes sold various North Shore merchandise in support of our schools and programs. Many thanks to the Homecoming Committee, the parent associations, the Arts Angels, the Athletic Booster Club, Kiwanis Club, Board of Education, administrators, students, community, and members of the NS Key Club for a wonderful day! At 1:15 PM, the large crowd moved into Stadium Field for the pre-game show including the K-1 Fun Run, K-5 Football Clinic, Pulse dance performances, cheerleaders, and the exciting Viking Football game. David Soto, the High School Band Conductor, led the band and drum line in the “Star Spangled Banner.” At 2 PM, the Vikings took to the field to a thunderous round of applause by all those in the stands. Congratulations go out to the Vikings Football team and their coaches for an exciting victory, beating Cold Spring Harbor in an exciting high-scoring game, 35-21! Many thanks to everyone for this wonderful 2016 North Shore Homecoming! 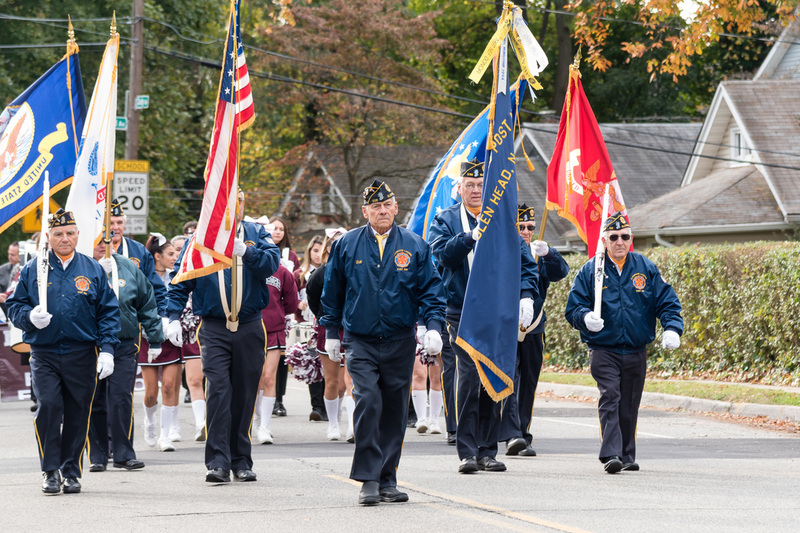 Photo Caption: Article by Shelly Newman Photos by Adrienne Daley and Shelly Newman October 29th was a beautiful autumn day as the North Shore School District celebrated Homecoming 2016 with a parade, carnival, Vikings Football game, Hall of Fame Induction Ceremony and much more! Thank you North Shore Community!